A blizzard, wild Scottish countryside, bleak landscape. A disappearance. Old rumours. This is an accomplished debut crime novel by an experienced journalist. 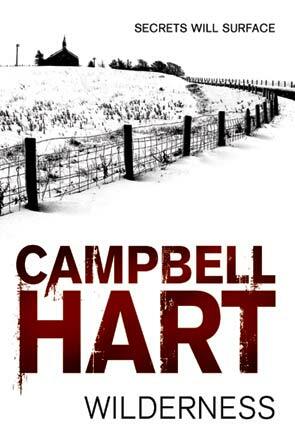 Campbell Hart has written a novel set in Glasgow, a place he obviously knows well as it comes alive off the page. His policeman, Detective Inspector John J Arbogast, fits the profile of detectives in crime novels today: he drinks, is politically incorrect but has his soft side. When he goes to a lap dancing joint, little does he realize he will be back there shortly. On duty. The story opens with a bitter winter, -14 degrees Celsius and a snow storm. A bus is diverted off the motorway. The last two passengers on board – a woman and young girl – and the bus driver, go missing in the blizzard. And then a local farmer and his son, clearing the road with their tractor, trying to help the stranded bus, find something they didn’t expect. Wilderness explores the world of trafficking and paedophilia as the story traverses from Glasgow to a remote farm and to Turkey, in 2010 and back in time when three young Turkish teenagers are on the cusp of adulthood. An accomplished debut. If I am being a bit nit-picky, I would suggest another copy-edit is needed – just a few punctuation errors, but nothing that stopped me enjoying the story. Pleased to see this will be a series. For more about Campbell Hart, click here for his website.